Hi everyone! I hope you all had a great weekend. 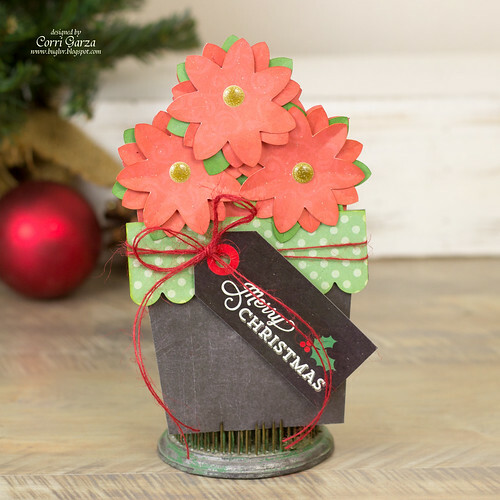 I'm up over on Lori Whitlock's blog today with this beautiful poinsettia flower pot card. I used paper from the Echo Park - Christmas Cheer Collection that Lori designed. I love the addition of black to this collection. It really makes the traditional red and green stand out on your projects. Lori recently added several cute gift card holders to the shop that will be perfect for last minute gifts. You can find all the new files in her shop.